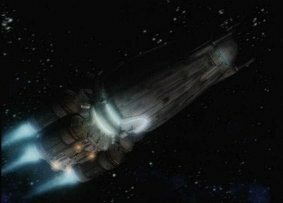 The Techno Union Hardcell Transport was often found involved in the Clone Wars, ferrying wardroids such as the Hailfire Missile droid from combat zone to combat zone. The base hull is durable and fast, and was the basis for many successful variants. One truisim found among the Republic Navy was that you never could be sure what you were dealing with when a Hardcell was on your scope.